All-Weather Floor Mats were intended to give the best possible protection for your 1997 Ford Explorer's floor. 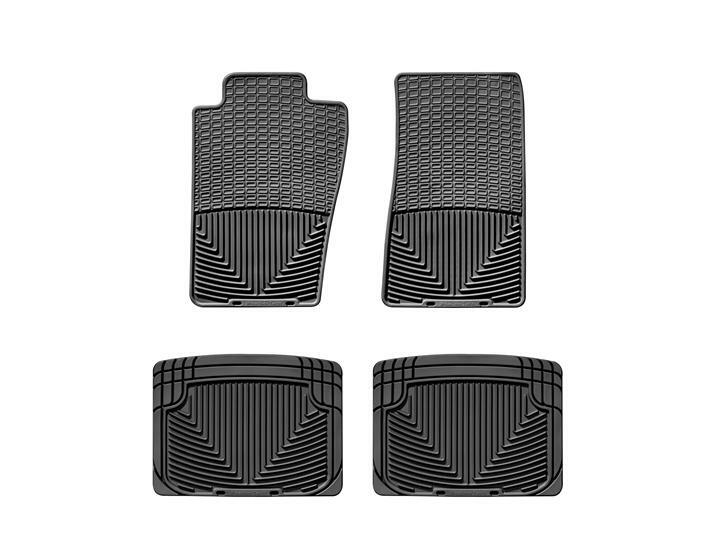 Many of our front and rear mat applications are model specific, while others are assigned as the best possible fit for your 1997 Ford Explorer from our many shapes and sizes. Some rear mat sizes are designed to be trimmed so that they may be customized to fit almost any vehicle. I've been using Weather-Tech for 25 yrs. in all my Ford Explorer and Mercedes vehicles. Absolutely the finest product to keep your vehicle clean and organized. I always equip my vehicles with floor protection, cargo liners, hood protectors and headlight protectors. You spent good $ on your vehicle...take care of it and it will take care of you!!! Bought these floor mats for my 2013 Ford Explorer. When I traded the vehicle this year the carpets still looked like new & the floor mats cleaned up so well I left them with the vehicle for the new owner. I am buying these & the cargo mat for my new Ford. They are a quality product that truly protects my investment. Thank you Weather Tech for knowing what Made in the USA is all about! I did a lot of research before buying your product. I am so glad I took the time to research various floor coverings as I am convinced I made the right choice in my Weathertechs! They look great, fit great and I am greatly pleased. I have two boys with huge feet that always seem to find mud to track around so your floor mats work well for my family to say the least. I have a brand new Eddie Bauer Ford Explorer with all the bells and whistles so my son persuaded me to buy the custom fit floor mats. On my first trip, my cooler turned over and poured out melted ice water all over the back floorboard. My new mats caught every drop of it! What a mess that would have been on my new carpet especially since we were traveling and had nothing with us to clean up a big spill. Thanks, Weather Tech!